$4.95 /EACH (Pack of 100) Local pickup and direct shipping anywhere in the USA. PermaBase® brand Metal Screws are corrosive resistant and made specifically for use with lightweight concrete boards. 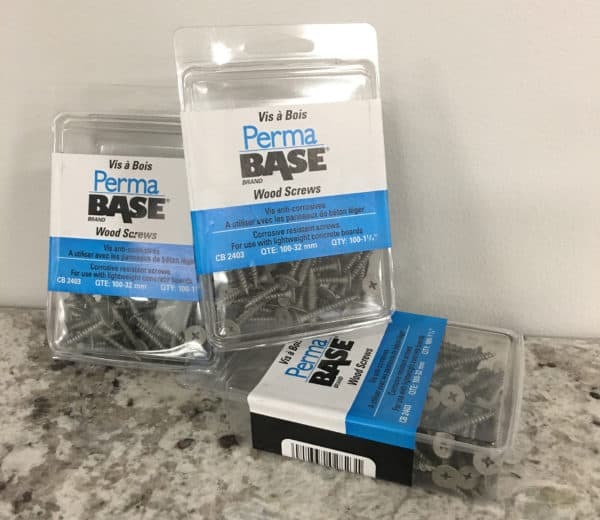 PermaBase® brand Wood Screws are corrosive resistant and made specifically for use with lightweight concrete boards.